Makom: Creative Downtown Judaism is a grassroots Toronto community fusing Jewish tradition and progressive values since 2009. Through joyous spirituality, stimulating learning, and arts and culture programming, Makom creates inclusive space that inspires participants – diverse in religious affiliation, age, sexual orientation, and gender identity – to explore together how Judaism can meaningfully enrich our lives. Makom’s programming includes soulful and song-filled Friday night and holiday services, Jewish meditation, adult education classes, family activities, and arts and culture experiences. Makom Afterschool is an innovative, pluralistic, Hebrew-immersion and Jewish studies program for children in JK through Grade 4, now offered in three downtown neighbourhoods. Makom ATID is our innovative approach to serious Jewish and Hebrew learning and preparation for Bar/Bat Mitzvah for students in grades 5-8. Please consider giving back to Makom by making a donation or becoming a Makom Member today! We can’t provide meaningful Jewish experiences without your support. Please give generously so we can keep enriching your life with spirituality, learning and culture. Makom Afterschool REGISTRATION IS NOW OPEN! Join us for a fun afternoon making and baking Matzah in an outdoor, wood-burning oven! We will also have crafts and snacks! We’ll have tents, so come rain or shine. Find us at the north-west corner of the park, near the ice rink. Looking forward to seeing you there! Traditional Jewish law (see Exodus 12:19) forbids owning any hametz (leavened foods) during Passover. While it’s ideal to consume or donate (e.g., to a soup kitchen) all hametz prior to the morning before Passover starts, rabbinic tradition allows for the sale of hametz to a non-Jew, even while it remains on your premises. If you would like to sell your hametz through Makom, please complete and sign the linked form (in either doc or pdf format), scan it, and email it to aaron@makomTO.org by 9am on Thursday, March 18. Or you may mail the completed and signed form to: Makom, 402 College St., Toronto, ON M5T 1S8. Mailed forms must reach Makom by Wednesday, April 17. There is no fee for this service. Donations to Makom are appreciated (minimum suggested donation of $18). You may donate online or mail a cheque along with your form. 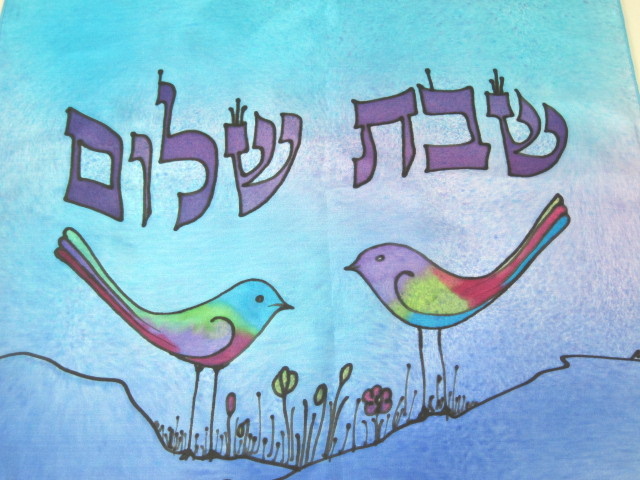 Hag kasher ve-sameiah – wishing you a happy and kosher Passover! This is a beautiful way to begin the day. Come sit in a circle of community in stillness and in song. You are not required to have previous experience in meditation to join this session. If you are completely new to practice, please consider joining the Sunday, four-class series in November for introductory instruction. Cartoonist Jonathan Rotsztain presents all new deceptively playful drawings and sculptures based on his “Self-Loving Jew” comics series, showing a cartoonish portrait of a conflicted, anxious yet optimistic thirty-something Jew. The installation makes visible how family, community and social context can unconsciously shape one’s patterns of behaviour. Rotsztain reveals how he inherited fears and successes, guilt and joys, neuroses and values not only from what was articulated to him but also from what went unspoken and unacknowledged. He transforms behavioural patterns into decorative patterns that adorn domestic settings. Artist-designed wallpaper on display in the window is dense with images of Holocaust fuelled fears, intergenerational trauma, and an inner struggle to reconcile a progressive, secular worldview with common narratives about Jewish life.